This time of year can be challenging, but it can also be a lot of fun! I love doing end of the school year ideas and activities with my students to help the end of school go a little better. It often requires more work on my part – but I find it worthwhile, and it sends kids off into summer on a positive note about school. This post is going to throw a lot of ideas and info at you, but I hope you find them useful! 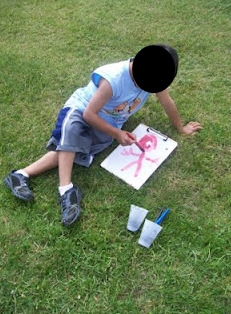 Last year in Kindergarten we had a lot of fun painting with kool-aid! I used this simple recipe, and we went to it. We also made a pinata and had a lot of fun breaking it! 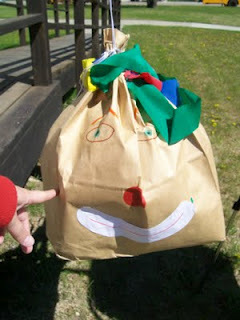 But, if you don’t like the pinata idea, maybe you want to try this balloon breaking pinata like activity instead? One of the fun things we had our 5th graders do this year was to create book covers. They brought in their favorite book from any point in life and created a new cover for it. They had to include information about the author, the illustrator (if applicable), the publisher, and totally redesign the cover. They turned out pretty cute! · Think Tac Toe by Cooperative Learning 365 – Taken directly from the product description…”Use this Think-Tac-Toe as a culminating activity to your school year. Students have a chance to reflect on their school year, come up with ways to help future students, and think about the summer.“ This is for grades 2-7. · Here are some adorable parent letters to send out to families at the end of the year. They are by Randiand could be used for any elementary grade. · Here are some fun Would You Rather – End of School and Summer Questionsfor students in grades 1-8. They were created by the talented Rachel Lynette of Minds in Bloom. Showcasing Student Work – great for parents and families to come in and see all the students have done! I love the book covers your kids made. Very creative. I stopped by sent over from A Teacher's Treasure. Great book covers that your students made! Thanks for all of the ideas! Great list! I am a new follower.